Have you ever heard of beauty line Sulwhasoo? I was recently introduced to Sulwhasoo at the Neiman Marcus in Beverly Hills, and before I start sounding off about their products as I continue to test them out I wanted to give you the facts and share my facial experience with you. As part of a promotional event I received a complementary facial and makeup application. However, I found out that one can get FREE facials from Sulwhasoo once they become a customer. More on this later! After the facial I was seriously impressed and wanted to know more about the brand and try my best to absorb as much information as possible from my esthetician and product specialist Claudia. What stood out the most was how amazing I felt after the facial and for the rest of the day. By combining herbal medicine and holistic application I could honestly feel the impact. As for my skin, it looks better and I finally received the Gentle Cleansing Oil which I ordered online and just started using it. I love how it gets all my makeup foundation off, but it does't take off my eye makeup. It seems to remove impurities from my pores but time will tell how well it works and I feel like I need to use a complete system for it to fully work how it's designed. More on that again later, as I work on testing and building this skin care routine for myself I will share my results. For now let me educate you on this unique beauty line, Sulwhasoo! The driving force behind Sulwhasoo's unwavering commitment to Korean Herbal Medicinal Skincare began with the company's founder, Suh Sung-whan. As a young boy living in Gaeseong, Korea, a city known for quality ginseng, he mastered the insight and know-how to find the best ingredients while helping his mother and her Camellia Oil business. Wholeheartedly believing in the healing powers of Korean Medicinal herbs, he dedicated his life to finding new and innovative ways to use these herbs in skincare. Why is Sulwhasoo for mature skin? 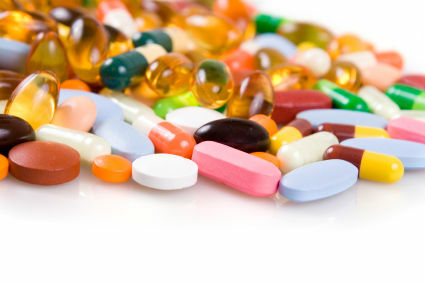 In Korean Herbal Medicine, it is believed that the body undergoes internal changes every seven years. At each milestone, energies within the body change. Historically at the age of 35, vital energies begin to taper and fall out of balance. As vital energies diminish in the body, the skin becomes prone to dryness, dehydration, and significantly more vulnerable to the aging process. Sulwhasoo, the first science-based Korean luxury medicinal skincare system co-developed with Kyunghee University of Oriental Medicine, blends indigenous medicinal herbs through traditional Korean methods, drawing on the ancient wisdom of the "Sang-Seng" philosophy to balance inner energies of the skin that contribute to a nourished, healthy complexion. What are the ingredients Sulwhasoo? Ginseng naturally grows only in the Far East and the ones from the Korean Peninsula are considered the best. Ginseng is a very sensitive plant that is highly affected by the nature of the soil it is cultivated in. It is very valuable and precious with many wondrous efficacies. In Korean history, young ladies in noble families would bathe in ginseng water before their wedding to refine their skin bright and pure. They also enjoyed fresh-drawn ginseng tea to prevent freckles and fine lines. Saponin is known for its effect in increasing level of immunity, regeneration, anti-aging, and antioxidant effects. The reason why Korean Ginseng is more famous than others is that it has twice as many types of saponin and about 40% more content with excellent effect. 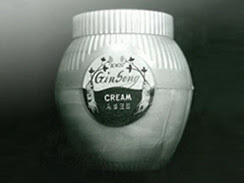 Sulwhasoo uses a 4-year old Ginseng, which known to have the highest saponin content. Sulwhasoo created matchless material after a long research on Ginseng. Sulwhasoo also researches on the effect of Ginseng’s various parts, such as its leaves, fruits, and roots to apply into the products. Also, Sulwhasoo adopts cultivation methods that can maximize the effect of each part of Ginseng such as outdoor culture for the root and water culture for the leaf and stalk. It also has the greatest producing and processing methods. Compound K from steamed and dried red ginseng is an obtaining anti-aging ingredient, and Ginsenoside F1 from White Ginseng peeled and dried by sunlight or hot-air is an outstanding whitening ingredient. 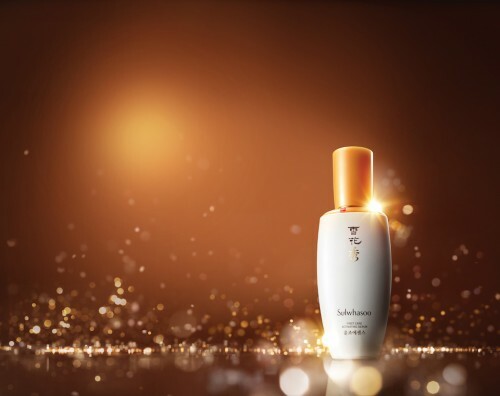 Jaumdan is Sulwhasoo’s original formula that fills the Yin energy to repair dryness and the common formula applied to all products of Sulwhasoo. Solomonseal treats dryness and improves skin resilience. Rehmannia promotes circulation, treats age-spots and dullness, and increases hydration. White Lily refines and brightens skin. Chinese Peony makes your treatment anti-inflammatory. East Indian Lotus moisturizes and promotes circulation, and restores healthy skin.